Whisk marmalade,juice and hot sauce in a small bowl. 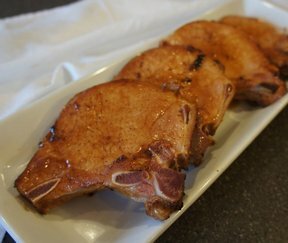 Pat pork dry and season with salt and pepper. 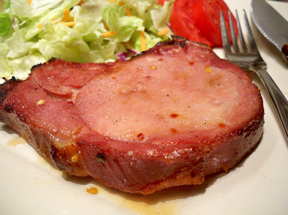 Heat oil in a large skillet and cook until pork is well browned-about 10 minutes. 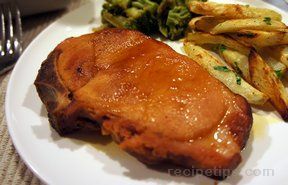 Reduce heat to medium.Add marmalade mixture and cook, turning pork occasionally,until meat registers 145°,3-5 minutes.